Bur damage to adjacent teeth is a common problem in everyday dental practice. Research shows that 70% of adjacent teeth suffer damage during class II preparations. 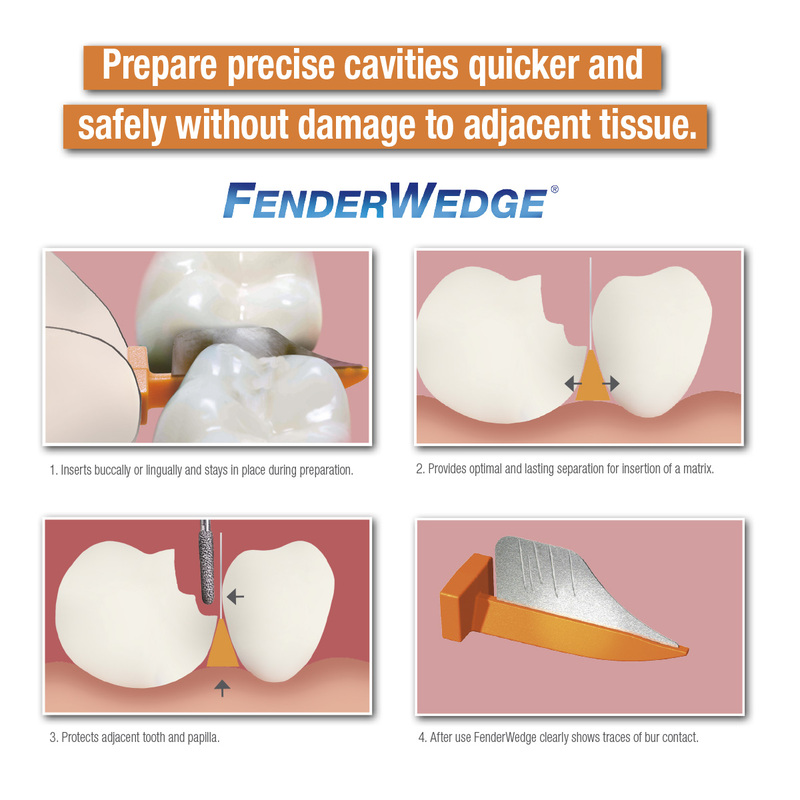 * FenderWedge prevents damage to the adjacent tooth and gingiva that commonly occurs during Class II preparations. 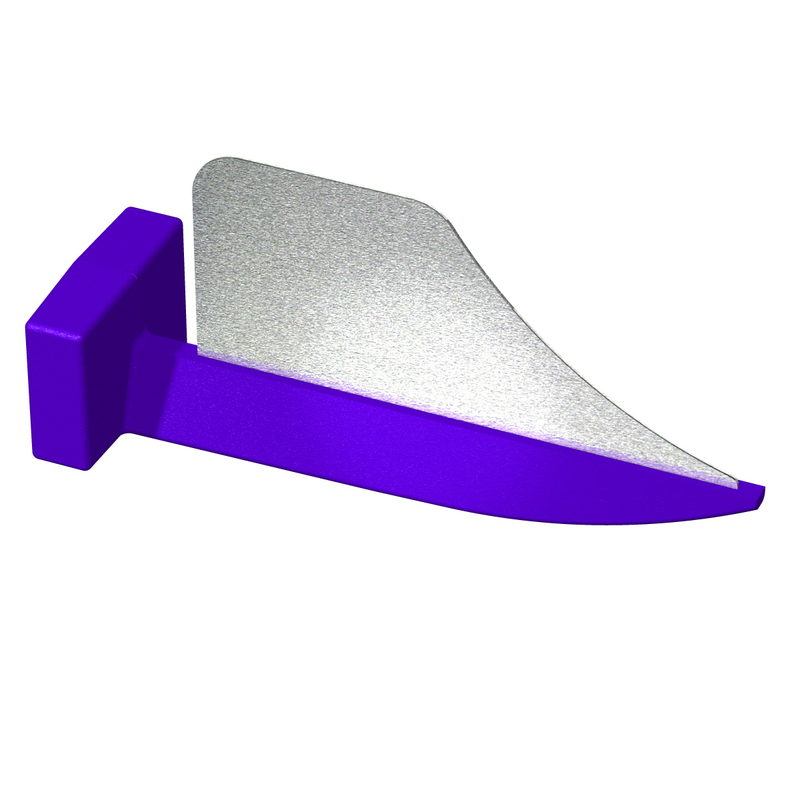 FenderWedge is a combination of a steel plate and a plastic wedge. It facilitates easy application of a matrix. To avoid aspiration it is recommended to secure FenderWedge with a waxed dental floss. Available in four sizes, x-small, small, medium and large in refill-, value pack or assortment.